UPDATE: Unfortunately, due to predatory policies from PokerStars, I can no longer recommend this poker site. Please see my updated page full of in-depth reviews on sites I currently trust. Rare cash formats like Draw and H.O.R.S.E. 1.1.9 Why not a higher score? 1.2.2 What do you get with the instant bonus? 1.2.3 How is it dispersed? 1.2.4 Is it really instant? 1.2.5 Spin & Go’s? Seriously? 1.2.7 Why do I care so much about $30? 1.7.5 Is it all working? 1.14.4 1. You will win a lot of hands uncontested. 1.14.5 2. You will confuse and frustrate your opponents. 1.14.6 3. You’re more likely to be paid off those times you’re showing genuine strength. PokerStars largely hit the spotlight and became an unstoppable behemoth following the incredible fortune of hosting back-to-back WSOP champions with Chris Moneymaker in 2003 and Greg “FossilMan” Raymer in 2004. With Joseph Hachem joining them in 2005 they ensured 3 straight years of massive exposure during the heart of the poker explosion. In 2007, they became the largest online poker room following their decision to continue to allow US players. Despite PokerStars becoming a non-US poker room in 2011 after the fallout of Black Friday, they continue to host the most players online by a sizable margin. In fact, PokerStars essentially hosts about as many players as every other poker room combined. PokerStars now regularly draws close to 200,000 simultaneous players, which is simply unmatched by any other poker room. This ultimately benefits the player with thousands of players showing up to every tournament and tens of ring games at each limit to choose from. PokerStars focuses mainly on the overall quality of games and tournaments offered. They have (surprisingly) improved their quality and feature set despite their now-massive player volume. The cashier is one of the most robust online with dozens of options for players in multiple currencies. PokerStars is now one of, if not the, best at servicing players equally from different regions, offering support in dozens of languages, country-specific promotions, and popular deposit options for every country. The tournament offerings are simply the best online with a $1 million guaranteed event every Sunday and guarantees of $10,000+ several times per hour every day. Over-hyped publicity aside this is a poker room that excels in every aspect without any real flaws. PokerStars is only as “low” as it is in our overall rankings due to not accepting US players and the pervasive tightness of cash game play. Previously, the biggest weakness had been the lack of competitive promotions. Despite the fact that the games largely speak for themselves PokerStars has made a wise move in recent years to improve their bonus and promotional offerings, which are now at least on par with most other online poker rooms. The 100% bonus is fairly significant with a $600 cap, the private new player PokerStars freerolls are worthy of the time investment at $1,000 each, and the convoluted VIP system can certainly reward regular players with unique extras. Overall, I have continually been impressed by PokerStars for more than a decade now and how they’ve seemed to improve with age rather than abandon the player trust that originally built their spotless reputation. Going a step further they’ve now added a $30 instant bonus option that doesn’t require unlocking through gameplay, meaning even micro-stakes players will get it. They will certainly appeal to players who prioritize large tournament guarantees and an abundance of cash game choices. Despite the tighter tendencies of a player base that is generally more experienced PokerStars is in a class of its own in terms of sheer games available. one of the best rewards systems online for high-volume players. Why not a higher score? Really, the only negatives that have brought down the score a bit for PokerStars are the pervasively tight games, the lack of better customer service options, and recent decisions to increase rake and decrease player rewards. Playing at PokerStars since 2004 their identity hasn’t changed much: providing the most professional online poker atmosphere. They’ve grown to massive proportions and the benefit to players is in huge game selection and mammoth tournament events. PokerStars isn’t perfect, namely because of their incredibly tight games, but there’s a reason for the incredibly high player loyalty. After years of stubbornly sticking to a dull unremarkable bonus package PokerStars quietly added what I feel is the best instant poker bonus online. It’s a clear attempt to draw in casual dabblers, which is exactly what this shark-filled cannibal-fest needs. This is absolutely more interesting to me than the ho-hum condition-laden 100% bonus that’s designed to give you as little as possible. This is $30 free without playing a single hand. Just make any $20 deposit and use bonus code THIRTY. No conditions, no strings. You also still get the 100% play-through bonus released as you play. What do you get with the instant bonus? A part of the instant bonus is given to players every day for 6 days. It’s automatically issued to your real-money account and you just have to use it. You get 5 $1 Spin and Go tickets for 4 days and plain old $5 cash for the other 2 days. See the chart under this section for exactly how it breaks down. Absolutely. I’ve become the biggest skeptic around for online poker bonuses, but this is one of the only offers anywhere that actually gives you extra money without playing an undefined number of hands. Make any deposit of more than $20 and you’ll get $30 over 6 days. It goes straight to your cash account and is usable immediately either on Spin & Go’s or any other form of poker on the cash bonus days. I know, many of us can’t stand a form of poker that erodes the edge between luck and skill to the size of a nano-bot. The fact is that recs like it and there’s no denying the exhilaration of it. 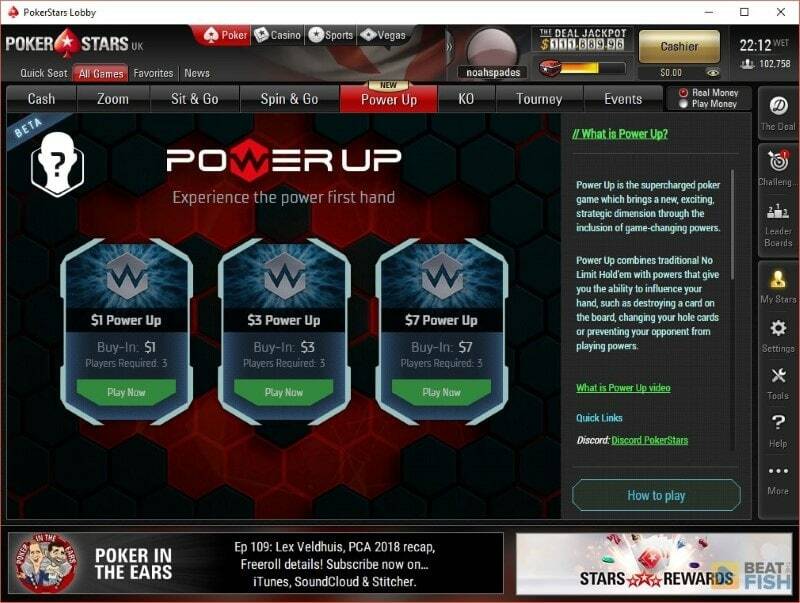 So PokerStars wants to promote it further. And get you hooked. So what? They’re giving you 20 shots at it for free! You keep all the winnings and there’s a small chance that could be a lot. Just do it, enjoy it, win something – and move on. I did mention that it’s free, right? No more griping. Oh, and be sure to use these tickets within 21 days or they disappear into the green felt graveyard where virtual bonuses go to die. The $5 cash bonuses are straight cash, homey. Use it to enter tournaments, micro-stakes cash games, more Spin and Go’s, Zoom, whatever. Why do I care so much about $30? Firstly, PokerStars coveting the casual crowd is a great thing for everyone. They’re taking actionable steps to grease up the games and that’s beautiful. Secondly, it’s something that even micro-stakes players can earn and that’s a demographic that’s usually left out in the cold in terms of bonuses. Finally, it shows trust in players rather than the poker site just covering its behind. They’re giving you something tangible without you having to prove yourself first. Barely anyone does that anymore in this industry and I’ll give that all the credit in the world. 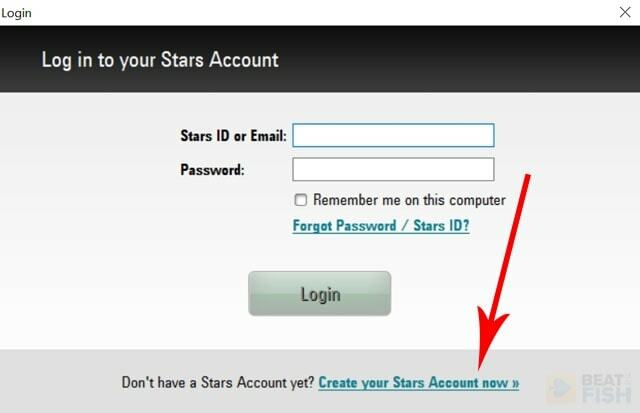 Visit the PokerStars website and click the oversized button to begin the soft client download. Both Windows and Mac desktop software is available. If you’re on a mobile or tablet the download button will open the PokerStars app in the App Store (iOS) or Google Play (Android). Install the software or app and launch it. You’ll be greeted with this screen. 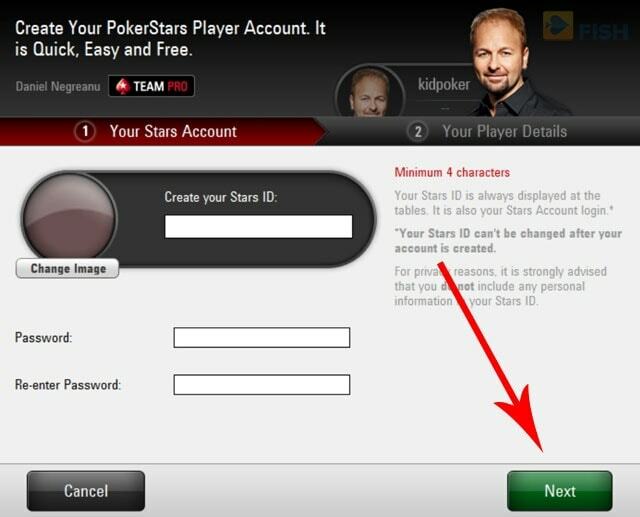 Click the link to create your PokerStars account. Fill out your account details and confirm your email address. Once you’re logged in visit the cashier and make any deposit, including for the $10 minimum. You’ll then receive your $30 instant bonus automatically credited to you over the course of 6 days. 2 of those days will be $5 cash and the other 4 will be $5 in Spin & Go credits. Whether it’s an online poker site or a giant retail conglomerate the market leaders rarely take bold risks. What they’re doing works, they’re making money hand over fist, and there’s no need to fix what isn’t broken. The same goes for PokerStars, right? Absolutely not. PokerStars has been throwing as much spaghetti against the wall as anyone over the past several years, hoping that something will stick to the nitty-nut-cracking recreational wall. Introduced in 2014 this has been the most successful innovation and seems to have given them the confidence to try develop more. This is a 3-player winner-take-all hyper-turbo Sit and Go (whew, what a mouthful) that draws casual players thanks to its lottery element. The prize pool has a 30% chance of exceeding the buy-ins. We wrote extensively about Spin & Go strategy in a feature article, which explains everything in detail. These have been incredible popular and have spawned plenty of copycats around online poker. Due to the low starting chips and huge quickly-escalating blinds they feature an extremely low skill-to-luck edge. Another new format exclusive to stars is Beat The Clock, which is aimed to draw in fast-paced thrill-seekers through an odd hybrid cash game/Sit and Go/Zoom mashup. These last a pre-defined 5 minutes with escalating blinds starting as soon as enough players have registered. As soon as players fold they’re whisked off to a new table a la Zoom. After 5 minutes remaining players are paid out according to the percentage of total chips they’re holding onto. That fraction is multiplied by the prize pool to determine the cash prize for each player. The Deal was launched in late 2016 with more controversy than even this get-off-my-lawn grizzly online veteran expected. Essentially, The Deal is a way to get players to gamble their StarsCoin with a poker facade and an illusion of player control. Player can wager their StarsCoin on a 7 face-down card deal that they keep 5 of. When they’re flipped over you can receive jackpots based on poker hand rankings. So, in other words… blind video poker. I don’t really see the harm in it if it stays in the realm of non-currency wagers. Even if it doesn’t just don’t play it if you don’t want to play house games. Not all of the innovations have succeeded. 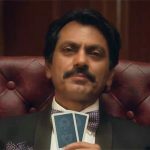 Duel was a thinly-veiled attempt to grab a share of the casual Zynga-fueled mobile market and is best described as Words With Friends meets heads-up poker. It was turn-based and required its own app. I remember a decent marketing campaign with PokerStars trotting out familiar faces like Negreanu and Moneymaker. It was supposed to be the next big mobile poker thing. Turns out the casual audience is every bit as fickle as the nightmares of the marketing department fear they are. Duel flopped and was pulled a few months after its “beta” period. Even if I won’t be playing these new poker formats personally (the closest I come is occasionally dabbling in a Spin & Go) I’m thrilled to see the market leader actually make an effort to do something original. They could let the grinders cannibalize the poker room to death, but they’re taking some fairly drastic steps to try to draw in those sweet recreational bankrolls. Keep it up, PokerStars. Too many competitors are spinning their wheels. This is one of the few groups still trying to stay ahead of the curve. Although it was once the weakest aspect of the poker room PokerStars has made a concerted effort to improve its promotional offerings in recent years. While I understand the desire to let the quality of the software and games speak for themselves the non-US market has simply become too competitive with new player packages to offer half-baked incentives. All new players signing up from our site now receive a respectable 100% deposit on all initial deposits, valid up to $600. For every 170 VPPs (VIP Player Points) $10 (or Euros or Pounds) of the bonus is released into your real money account. A few aspects of the bonus make it more attractive than similar bonuses at other poker rooms. Firstly, PokerStars gives players the bonus up to a maximum of $600 on up to 3 deposits within your first 90 days as opposed only the first deposit. Even if you don’t need extra funds but find yourself out of bonus money to convert it may be worth depositing extra within that time frame simply to get that extra bonus. Secondly, players are given 6 months to clear the bonus through cash game or tournament play whereas most other poker rooms only give you a month or two. The bonus actually converts to usable cash at about an average rate. I would estimate that I earned $1 of bonus money per hour for each $.50/1 NL cash table. The software is very clear about how many Stars Coins you’re earning and when each bonus segment will be released. In addition, our new players also receive 31 days worth of entries into private $1,000 freerolls, which occur 4 times daily. Although these are also open to VIP players the freerolls at $1,000 are at least worthy of a second-window time-waster in between hands at more meaningful tables. The other main promotion at PokerStars is the VIP Club, which is one of the more generous rewards system if you’re a highly-active regular. There are 7 different VIP tiers that require as little as 100 player points per month to earn or as many as 1,000,000 per year. As you reach higher tiers you have earn points more frequently and have access to better promotions. The biggest criticism I have for the program is that players are forced to hit specific player point thresholds each and every month in order to maintain their tier in the VIP Club. I personally like to hop around different poker rooms, spreading my playing time between whoever currently has the better cash games and promotions. I understand that PokerStars wants to encourage regular play and they have always done an excellent job of cultivating player loyalty. They just may not have the best system in place for less-active players. One practice that PokerStars pioneered years ago that still drives me nuts is the fact that you are required to play up to a certain level monthly to maintain your VIP status. I can’t stand that transparent attempt to force players to grind away simply to maintain what they’ve already earned. 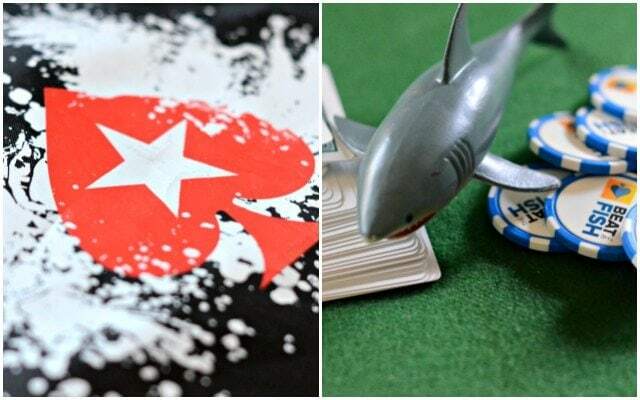 While they have always offered free books, tournament tickets, and merchandise for player points PokerStars has beefed up the rewards in recent years. Although only full-time high-limit players will get to the “Supernova” and “Supernova Elite” levels the rewards for reaching them are incredible with thousands of dollars in free money and quarterly $1,000,000 tournaments. Wrapping up the promotional offerings are a number of region-specific events that are only offered for players in certain parts of the world such as Asia, Australia, Brazil, Latin America, Portugal, and Norway. 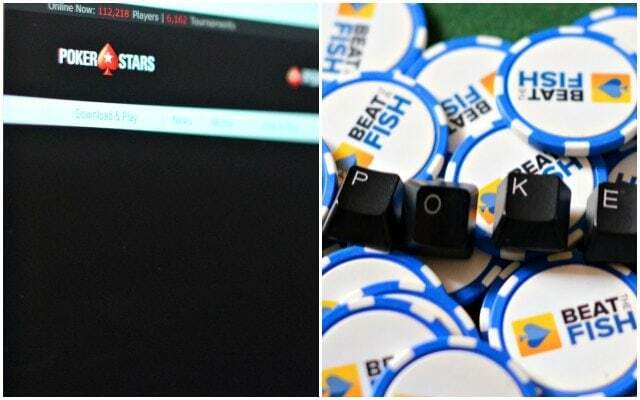 Overall, PokerStars has made some strides in the last few years to improve both their deposit bonus and VIP system, largely with the new instant $30 bonus. Although neither is truly better than those offered by their main competitors with the enormous number of games and tournaments offered getting anything extra is appreciated. PokerStars has never been terribly impressive for their promotions and that’s likely because they don’t need to be. Infrequent players won’t benefit from the tiered VIP program, but one positive is that up to 3 deposits are eligible for the deposit bonus and you have 90 days to clear as much as you can. Life offers 3 certainties every day: the sun will rise, the sun will set, and the PokerStars cash games will be tighter than the Gordian knot. In 2005 I was amazed that this poker room kept flop percentages under 25%. That’s how wild, chaotic, and wonderful that era of poker was. Today, it’s common to find those flop numbers in the single digits. Yes, single digits, as in 7-9%. I’d like to break down a few reasons that this is the tightest poker room online. The aquarium now resembles more of a cannibalistic shark tank than the densely populated goldfish ponds of yore, which certainly doesn’t help. Poker isn’t pop culture’s darling anymore and it hasn’t been for some time now. That means fewer casual players dumping chips to the grinders just for the experience. Players that were new during the poker explosion are now veterans. It all contributes to tighter action-less games. PokerStars has always been the poker room du jour of the online poker elitist, wannabe poker pro, dedicated grinder, and serious tournament player. After all, why shouldn’t it be? They’re the most professional, well-populated, pro-friendly, massive-tournament-hosting poker room online. The problem with that in the game quality context is that those are the tightest and most well-educated poker groups there are. Yes, you’re going to be playing against the tightest online player group in the world. No, they aren’t unbeatable or I can’t imagine the games would survive too long. You usually aren’t going to get much action on your premium hands and your less-than-premium hands aren’t going to get the odds to continue to see most flops. That’s why you’ll see those single digit flop percentages. There is some degree of change as the games get slightly looser at the penny games rather than the dollar ones but even those micro limit players fight surprisingly hard for each penny. What’s the best way to fool observant players like those found at PokerStars? Check my tips section for more thoughts. Playing games here is a different beast in that most players are either timid or just good players. Cash games may not be the most profitable on average here but they can be refreshing for players burned out on bad beats. It’s no secret that PokerStars hosts the tightest games online filled with the lion’s share of the grinder population. It’s been their business model for more than a decade: appeal to pros and wanna-be pros with professionalism and grinder-focused rewards. It’s earned them an unstoppable #1 market share, but they realized that it was unsustainable before it was too late. Casual recreational players, i.e. the lifeblood of poker, were wisely starting to stay away thanks to 60-hour a week grinders handing their lunches to them in a HUD-filled paper bag. PokerStars management directly acknowledged as much and directly took steps to try to attract back the recs with some unique experiments and a decrease of rewards for the busiest players. 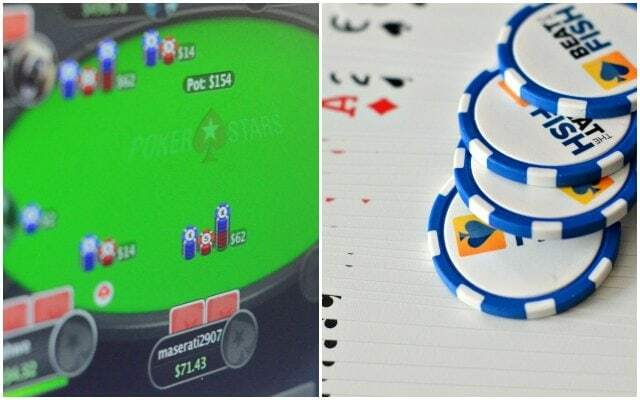 Things sort of reached the tipping point in late 2015 when PokerStars used their platform of choice – a 2+2 thread – to announce that they had seen enough. PokerStars started their assault on grinders users third-party software, who could realistically kill the industry if given enough time to drive away recreational players. 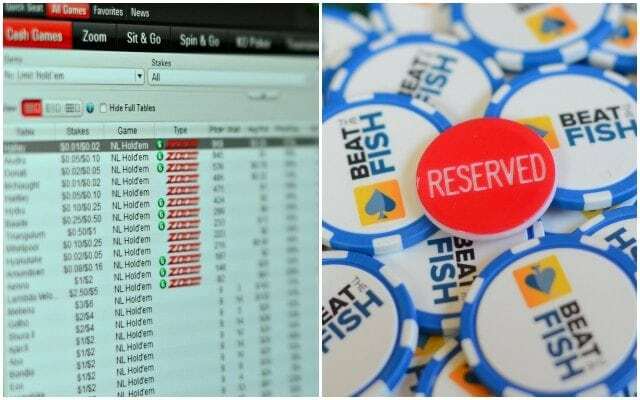 The poker room severely limited HUDs (heads-up displays) and other third-party poker tracking software to try to marginalize the unfair advantage they were gaining over pure players. The software now actively scans players’ machines for the offending software, a step which I applaud. I love the honesty of PokerStars management, who explained they were taking these steps because these tools and tactics “made the games too difficult for new players to survive”. Amen. It’s amazing they admitted as much, even if veteran players have known it for years. With the proliferation of rock-tight games over the past 7-8 years I love the movement by poker sites of purifying the games again and protecting the essential part of the poker ecosystem: inexperienced players. I would love to see PokerStars (and ever poker site for that matter) eliminate all third-party software and support anonymous tables, but at least they’ve taken some great steps lately to combat the fatal enemy of an empty aquarium. I haven’t kept meticulous track of PokerStars releasing the actual numbers (not a big 2+2 guy), but I have seen statements where they claim their steps are working at greasing up the games a bit. How could it not if you’re making things harder on the pros? Anecdotally, I’ve seen a 5-8% flop percentage increase across the board since 2015, which is one of my favorite metrics to judge the looseness of games. Whereas single-digit flop percentages were common before that they’re now the exception rather than the rule. You’ll occasionally even find 6-seated tables exceeding 35-40% and full 9-seated tables exceeding 25%. The biggest negative for me at PokerStars is the incredibly tight player base, many of whom are nitty grinders and online poker vets. Flop percentages in the low teens down all the way to single digits, which is 50-75% worse than some competing sites. One of the main draws of PokerStars is the tournament offerings thanks to its status as the #1 online poker room in the world in terms of traffic. In my opinion, there simply is no match online for tournaments. Any serious tournament player would have a tough time arguing that point. They have an unmatched number of satellites not only to live tournaments, but also to their own guaranteed events. Their biggest weekly events are the $500,000 (11:00 AM EST) and $1,000,000 (4:30 PM EST) guarantees on Sunday. Yes, $1 million. Both have $215 buy-ins with innumerable satellites running throughout the week to get in for less. The $1 million guarantee is the largest recurring online poker tournament in history. Sunday is clearly the biggest tournament day at PokerStars with 9 tournaments with guarantees over $100,000 (including the Sunday Million) with buy-ins as low as $10. Normal daily tournaments between the $10-50 buy-in range can attract over 10,000 players during peak hours giving you incredible value on a small investment. Most no-limit Hold’em events will attract a minimum of 500-1,000 players, even during overnight European hours. Tournaments are structured well by providing an easy-to-understand lobby, giving players a large amount of starting chips relative to the blinds, and allowing sufficient time between blinds. I prefer this structure personally as it tends to give a slightly larger edge towards skilled players. As PokerStars has been experiencing a huge boost in overall traffic the past few years the tournament traffic is massive. The enormous number of players allows you to find multiple guaranteed events every hour with prize pools as high as $50,000 for minuscule $10 buy-ins. Even multi-table Sit and Go’s, which no one else can pull off reliably, fill up within just a few minutes. Standard Sit and Go’s fill up extremely quickly up to the $100+ levels. Since 2014 PokerStars is on a nice run of R&D, putting out several new tournament formats per year. Not everything has worked – remember Duel? I don’t either. However, the attempt at keeping things fresh and the fish interested is appreciated. 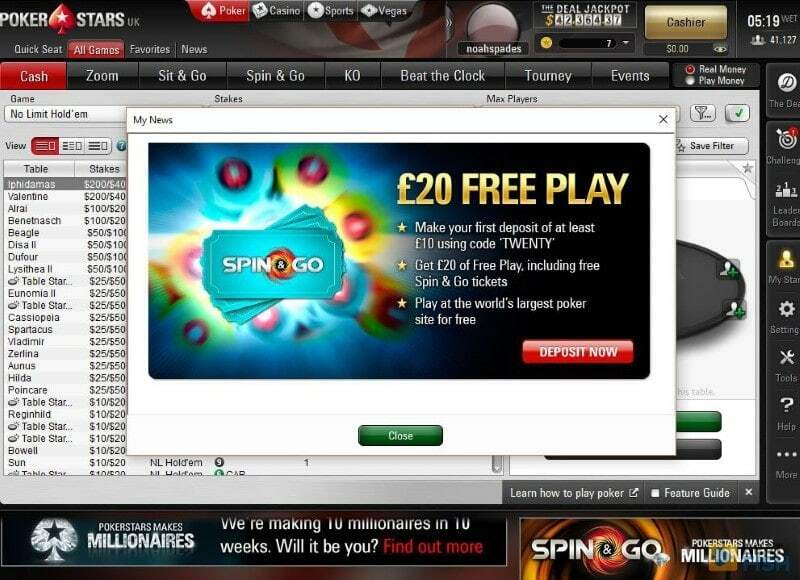 The Spin & Go, added in 2014, was the biggest hit that was copied so often you may not realize the concept actually originated with PokerStars. It’s a 3-player hyper-turbo Sit and Go with low starting chips and blind escalations fast enough to make your head spin. What’s special is the prize pool. That’s the “Spin” part. It’s randomly determined prior to each tournament based on set probabilities. See the chart below for the exact numbers. Even though you’ll actually be playing for less than the buy-ins over 75% of the time they’ve been a big hit with recreational players due to their low skill-to-luck ratio. A couple of other new tournament formats heavily promoted by PokerStars include Knockout Poker (KO) and Beat The Clock. You’ll see both with their own tabs in the lobby. 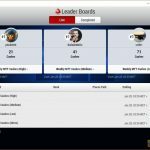 KO Poker gave me a chuckle because it’s just a dressed-up version of the same old bounty system poker sites have been using for years: a portion of the prize pool is reserved for each player you knock out. The one aspect I like is they’re incorporating it into Sit and Go’s, which I haven’t seen elsewhere. This is a strange timed tournament where play just stops after 5 minutes no matter how many players are left. It’s in a Zoom fast-fold format and prizes are based on your percentage of the chips in play. With several thousand players competing for even the micro buy-in overnight events every tournament is a spectacle and every tournament offers substantial prizes. Thanks to the sheer entry numbers and variety offered by PokerStars it’s difficult to be unsatisfied as a tournament player. The tournaments at PokerStars are unmatched and arguably the biggest reason to play there. They’re the only ones offering a $1 million guarantee weekly and the daily schedule features new events every few minutes. Even small $10 buy-ins can get prize pools exceeding $50k. PokerStars has publicized their software as the best online over the years and I would probably have to agree. I don’t think that it is head-and-shoulders above the other sites, but it is a very good overall package without many weaknesses. They allow you to upload your own image as your avatar, which is a neat little feature that a most poker rooms are now picking up on. I recently increased their score to 90% because of the latest software update, which I thought was a great improvement in both function and cosmetics. In terms of new table customizations, you can resize any table window (or tile them) to whatever size you desire. Next, they have new themes that allow you to change the graphical theme to things like Marine, Stars, Saloon, and Renaissance. Each has their own background imagery and colors or, if you’d rather, you can upload your own image for the background. Their hand history feature is probably one of the best online and is easy to use. You’re able to see all hole cards that were in the showdown even if it was mucked, which is useful if you’re trying to get to know what types of hands your opponents are playing. I also like the game speed of the PokerStars software, which runs at a pretty quick pace and now features “Fast” tables that force automatic blind posting and offers speedier dealing. These tables tend to enjoy a 10-20 hand per hour improvement over standard tables. PokerStars has also added what they call Zoom Poker, which I feel is really the most significant development in online poker since its inception. A few non-US poker rooms have similar riffs on this gameplay style and it should only be a matter of time before everyone else gets on board. With Zoom Poker players are in constant action because after folding you don’t have to wait for the hand to finish before starting a new one. As soon as you fold you’re whisked away to another table full of players with cards waiting. PokerStars does this by pooling all players available at a certain limit. As soon as you fold the software finds 8 more players who have also just folded to create a new table. Blinds are given to those players who have gone the longest without posting them. It’s an incredibly addictive form of poker and I usually play it exclusively on sites that support it. The average hands seen per hour increases to a mind-boggling 250-300 per Zoom table, meaning you’re playing the equivalent of 4-5 standard tables. If you can mentally keep up there’s also nothing stopping you from playing multiple Zoom buy-ins at PokerStars. The only negative is in the loss of reads with the table constantly changing players, but online reads have always been questionable at best. The tightness of players also ratchets up even higher than normal PokerStars tables thank to the lack or boredom and urgency to play something. 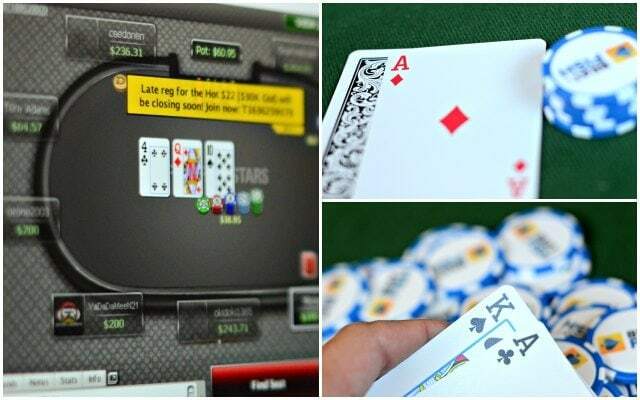 In terms of mobile, they’re also one of the forerunners, featuring every table, tournament, and Zoom Poker limit from any iOS or Android device. The speed and functionality of the mobile experience is quite good, thanks to the decision to develop a standalone app over a buggy mobile browser-based system. the excellent new addition of fast-fold Zoom Poker. PokerStars easily earns a top score in this category. I’m a big fan of the PokerStars software client, which is probably the only ones I can’t remember experiencing some sort of bug or glitch with. It also looks great with lots of customization. Their real-money mobile app also supports every cash game, Zoom game, and tournament. One of the reasons I’ve always felt PokerStars has exuded professionalism is how they handle banking. Most poker rooms will happily accept player deposits immediately, but they make sure they send withdrawals back with the same gusto. 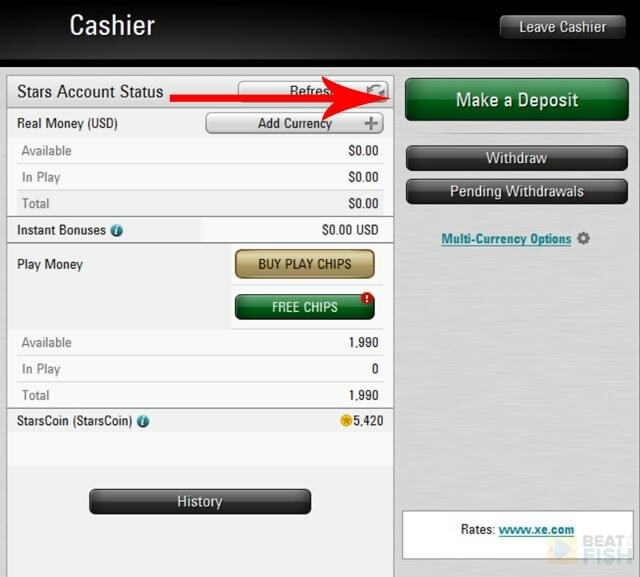 PokerStars is highly specialized in just about every country’s popular withdrawal methods. Electronic withdrawals like Moneybookers, NETeller, or Ukash will arrive within hours and may even be instantaneous for regular players. PayPal withdrawals are an options for players in the UK and Ireland. Other options include direct credits back to your depositing credit card, direct bank transfers, or wire transfers for larger amounts. Paper checks can be sent in a number of currencies, although sub-$1,000 withdrawals don’t arrive via courier and may take up to 3-4 weeks to arrive. Banking has always been a strength of PokerStars. If you play regularly you’ll even start to see instant e-wallet payouts. They’re one of the few poker sites to support PayPal, albeit to very few countries. I’ve always been puzzled as to why PokerStars only offers archaic direct e-mail support only for customer service. They excel at just about every aspect so why skimp on support options that can make players feel attended to so much better than waiting around for a reply e-mail? They should be setting a better example as the #1 poker room in the world. They have implemented Live Chat, but only for those having issues with deposits. If you’re having trouble handing over your money they’ll be happy to assist you immediately. That being said, emails are almost always replied to courteously and professionally within about an hour. It is embarrassing, however, that such a massively profitable and popular company has yet to institute more player-friendly options such as site-wide Live Chat or support reps willing to answer a telephone. There is really no comparison in this category. PokerStars has such a stranglehold on that top online poker room spot that there isn’t really a #2 competitor. There’s PokerStars and then everyone else. I believe that they have more regular active players than every other online poker room combined, which is about 30,000 cash players during peak European evening hours. There are dozens of cash games at each limit, including the stratospheric limits of $50/100 and beyond. PokerStars has really become the only destination for the highest stakes games online. Just about every multi-table tournament draws thousands of players, creating both ridiculous value and massive time investments. Both single-table and multi-table Sit and Go events fill up within minutes. Zoom Poker also draws hundreds of players per limit, ensuring not even a speck of waiting time in between hands. The biggest advantage PokerStars has is their traffic level and they don’t appear to be giving that up any time in the foreseeable future. 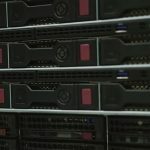 Isai Scheinberg, an Israeli IBM programer, starts writing the code for a poker site that would become modern-day PokerStars. 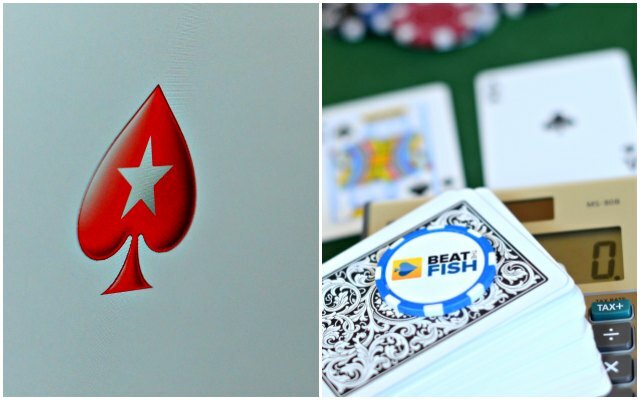 PokerStars is launched for the first time for play money. The site is owned and operated by the company known as Rational Enterprises of which Scheinberg is a majority stakeholder. Its initial headquarters is in Costa Rica. The real-money version of PokerStars launches, allowing players to make deposits and withdrawals and play for real cash. 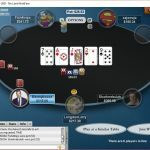 An unknown accountant named Chris Moneymaker wins his seat in to the 2003 World Series of Poker Main Event after playing a $39 online satellite at PokerStars. PokerStars saw huge interest in their satellite tournaments for the WSOP and other big live events around the globe. Encouraged by Moneymaker’s victory (and skilful marketing strategies by PokerStars), everyone believes they could be next. PokerStars ends up sponsoring 3 straight WSOP Champions with Greg Raymer in 2004 and Joseph Hachem in 2005 forming the trifecta. Scheinberg and other PokerStars executives decide to move the company from Costa Rica to the Isle of Man where it remains to this day. Scheinberg’s decision was primarily motivated by a non-existent corporate tax as well as lenient laws for sites accepting players from the USA. Scheinberg starts looking into selling the company with several interested parties lining up. The Unlawful Internet Gambling Enforcement Act is passed, which attempts to make it difficult for US banks to process online gaming transactions for players. Publicly traded companies are forced to leave the US market, but PokerStars, being privately owned, sets the tone for other private companies and remains servicing US players. Scheinberg decides to stay on at the company. All sales negotiations are off the table. PokerStars continues to operate accepting players from all over the globe, include the United States. They become the largest poker site in the world by player volume. Their tournaments broke records for number of participants, most prominently the WCOOP (World Championship of Online Poker) series. On what has become known as “Black Friday” the US government shuts down PokerStars alongside two other major US-facing online poker operators in Full Tilt Poker and UB/Absolute Poker. PokerStars reaches an agreement with the US Department of Justice, removing themselves from the US market completely. They forfeited $547 million to the US government, which included funds still owed to US players. In exchange, they regained full control over the PokerStars website and the poker software client. PokerStars resumes their operations in the rest of the world. They also promptly paid all disenfranchised US customers, allowing them to withdraw their full account balances. 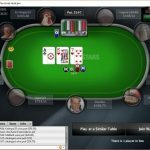 PokerStars acquires its former competitor Full Tilt Poker. 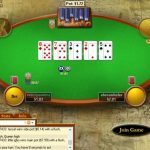 PokerStars agrees to pay back the US customers who remained in the limbo after the DoJ shut down Full Tilt Poker operations, which totals around $184 million. 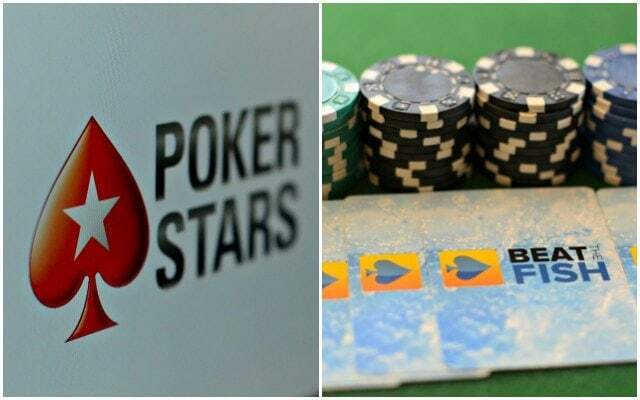 PokerStars manages to salvage the brand’s assets and also pay back outstanding player debts. Canadian gambling company Amaya, led by David Baazov, acquires PokerStars in a $4.9 billion transaction. The deal includes everything, including PokerStars, Full Tilt Poker, and all associated brands like European Poker Tour. PokerStars (Rational Group) becomes publicly traded for the first time. 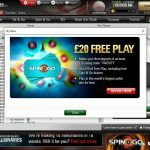 PokerStars introduces Spin & Go tournaments, lottery-style single-table events that can pay a huge jackpot if a player gets lucky. Spin & Go’s are the first sign of the new direction the company would be taking, focusing more on recreational players. 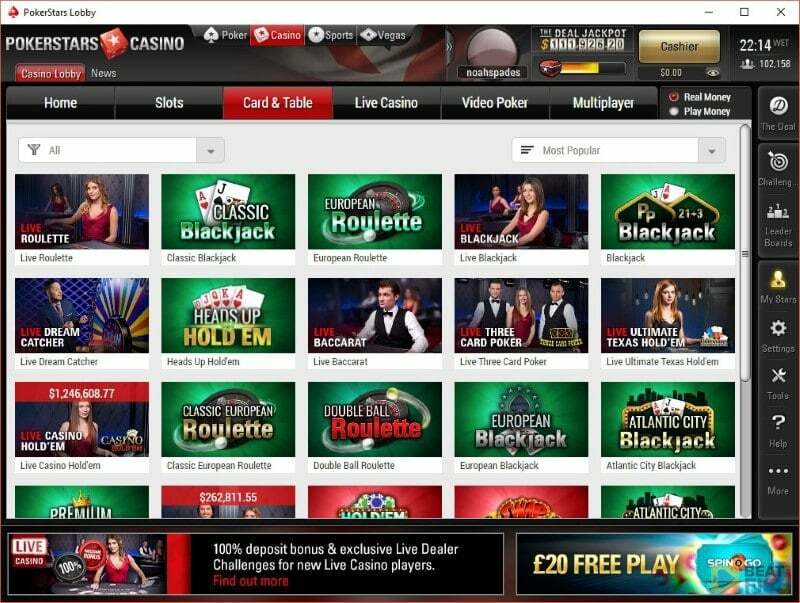 PokerStars Casino is launched, adding casino-style games to the poker client for the first time ever. 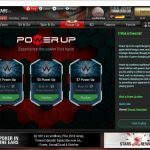 PokerStars announces some significant changes to their rewards program, most importantly announcing their long-standing Supernova and Supernova Elite tiers will no longer exist. 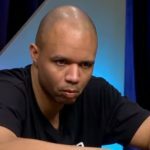 This created enormous controversy in the poker community, especially among high-stakes professional players who felt wronged by the move. 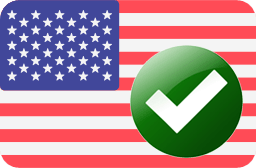 PokerStars returns to the US market in a very limited role, servicing players in the regulated state of New Jersey. PokerStars remains the biggest online poker site on the planet, despite some vocal discontent coming from the community. 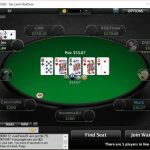 Various moves directed towards acquiring more recreational players and creating a more comfortable environment for them have split players’ opinions, but they remain the busiest, most lucrative, and most influential online poker site worldwide. Of course, you can’t really do that if the table is full of varied player types, but online that isn’t often the case. At PokerStars in particular 6 or 7 of your opponents at a full cash table are going to be either tight-passive, tight-weak, or maybe tight-aggressive. The common denominator is tight. Does a winning opposite strategy of a tight table mean Doyle would tell you to just play loose for the sake of being different? I don’t think so. That’s too simplistic. I would say to smartly play more hands than the rest of the table – in position – and do so aggressively. Why can this be effective and what does it accomplish? 1. You will win a lot of hands uncontested. This is a great outcome as you will often either take the blinds or a modest pot on the flop. These are tight players that will defer to the pre-flop raiser. Many hands will fold to you on the button or under the gun so why not raise it most of the time? You’re either going to steal the blinds or follow it up with a standard continuation bet on the flop. Whether or not you have a made hand is irrelevant. Take the free money. 2. You will confuse and frustrate your opponents. Your tight opponents are going to start dreading when your turn comes up for fear that you’re going to raise every hand. There is nothing better for your chip stack than confusing your opponents, frustrating them into tilt, and just making them uncomfortable. When you’re aggressive every time you deem a hand worthy of play you’re more likely to do all of those things. 3. You’re more likely to be paid off those times you’re showing genuine strength. No one like to feel like they’re being railroaded, least of all self-important online poker players who take every lost hand as a personal affront to their ability as a human being. If you’re regularly running over tight players here by raising pre-flop and betting out post-flop (as I like to do) you’re going to get the textbook response as they try to take revenge. They will try to trap you by re-raising you once they finally get that premium hand or do things like check-raise you later in the hand. That’s fine. Let the hand go, obviously, if you’re not playing with a dominant hand as these tight-fisted players don’t usually mess around with massive bets. The times you’re really going to profit is when you really do have those pocket Aces preflop or hit a hidden set, straight, or flush on the flop. You’ve been betting the whole game on what your opponents probably feel is next-to-nothing. You’re going to take their entire stack when they’re actually the ones who have been trapped. Very accurate and none bias. To play well in PS you need a HUD (Hm2 or PT4) just to keep up with the regs. You will also need to minimize your leaks just to keep up with the rakes if you’re playing cash games. Programs like LeakBuster should help you in that department. Thanks, Kiha. Those are pretty much the 2 most important factors for me in reviews. Call me outdated or old-school, but I’ve never been a big HUD guy. I know people use them to great success and good for them. However, if you look at every poker site that’s compatible with HUDs over multiple playing sessions, you’ll find the games tighter and tougher overall. That’s certainly the case with PokerStars. As you said, they’re designed to keep up with the regs, but that’s pretty much the entire player base on sites like PokerStars. It probably isn’t a popular opinion, but I’d personally like to see even more crackdown on HUDs. Maybe certain tables that disallow them? I’m not sure what the answer is, but I’m not a big fan of them.